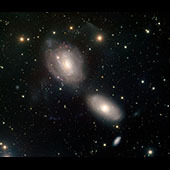 NGC 3166 (lower right) and NGC 3169 (upper left) are two spiral galaxies trapped in a death spiral. As these two galaxies begin to merge, they are starting to be pulled apart. 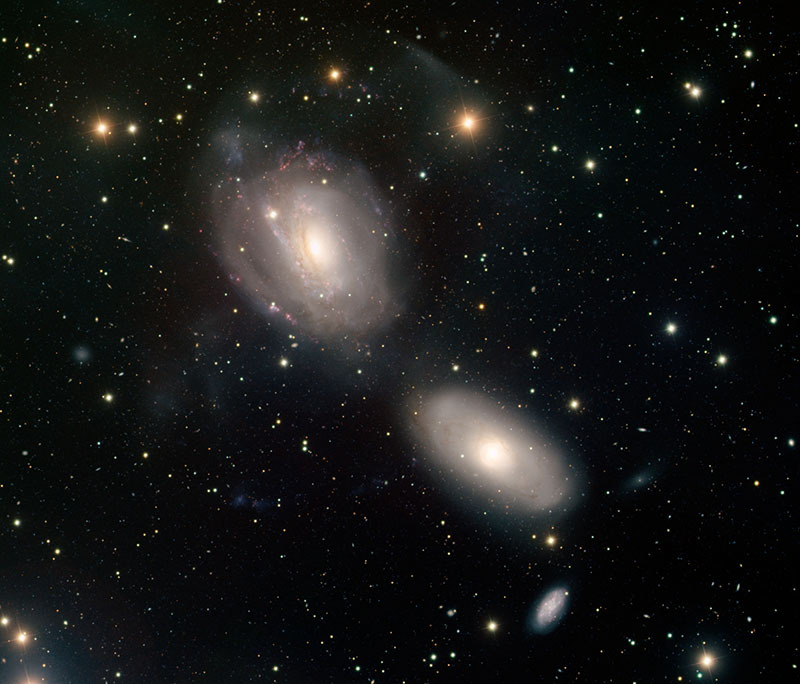 The faint wisps surrounding NGC 3169 are its outer spiral arms being pulled off. Eventually these two galaxies will merge to form a single galaxy. NGC 3165, the small galaxy below NGC 3166, is also a member of this group. NGC 2146 (also in this gallery) is likely a snapshot of what these galaxies will look like in about a billion years.